Vera Bradley Healthcare Apparel features the designer prints you love in comfortable, functional scrubs. Special Pink styles support the Vera Bradley Foundation for Breast Cancer. #allheartSquad member @alexandramillsap is wearing her new Halo by #VeraBradleyScrubs Women's Nettie Classic V-Neck Solid Scrub Top by @wonderwinkscrubs in color Pretty Pink. Pink styles support the Vera Bradley Foundation for Breast Cancer. 3. Comment what your favorite holiday tradition is! #allheartSquad member @victoriaaluu is rocking her new Signature Collection by #VeraBradleyScrubs Women's Maya V-Neck Solid Scrub by @wonderwinkscrubs in color Pewter. When I started nursing school 3.5 years ago, I started it with the expectation of going into emergency medicine. What truly pushed me into this route was the fact that I had interned at our local coroners office here in Vegas and I wanted to see these decedents before they ended up there. I wanted to have a chance to save their life so that they wouldn’t be carried out in a body bag. We all have our reasons as to why we choose what we choose in life. Decisions we make that could potentially change the way our entire career plays out. At the end, don’t forget what your heart is truly set on, and never give up striving for those goals and dreams. Be hungry for growth and let passion drive you ALWAYS! Never become complacent, always look for learning opportunities and never stop trying. So grateful that I was offered my first job in the ER, BEFORE GRADUATION!! When people tell you its impossible- go out and show them that it in fact is possible! 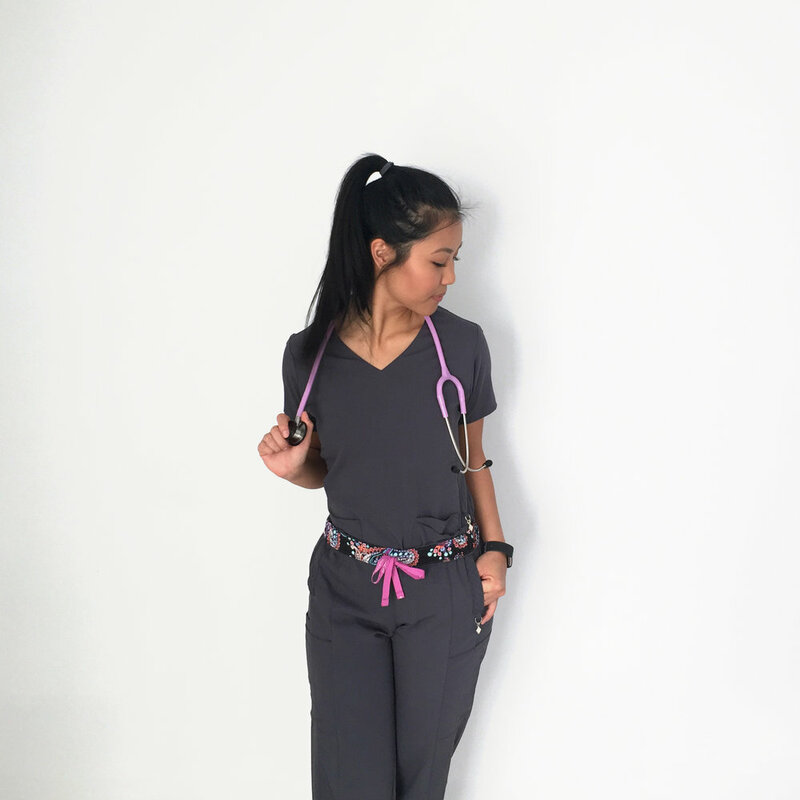 #RealCaregiver and#allheartSquad member @alexx_xox is wearing her new Signature Collection by #VeraBradleyScrubs Women's Linda Notch Neck Solid Scrub Top #VeraBradleyScrubs by @wonderwinkscrubs in color Royal Blue.